Published on 11 November, 2018 in Faith, Family, People and Places by Alastair. 0 Comments Tags: Alastair Cutting, Armistice, Cecil Cutting, Eltham, Peace, Soldier, WW1. Around the church are a number of pictures of a young First World War soldier. Let’s hear a bit of his story. 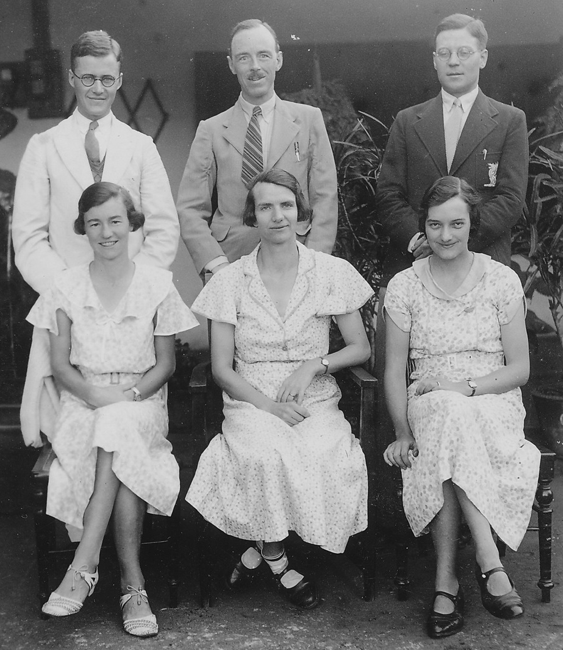 He was the son of a missionary teacher family who were living and working in India, as he approached secondary school age, Cecil George was sent to boarding school. The young scholar was at a school just over a mile from here, at Eltham College. He was a lively student, who particularly loved his sport. The school regularly played other teams, and had several matches against the world famous local cricketer, WG Grace. There’s a record of a match where the great WG was bowling against the young Cecil George. Cecil George was one of the best all rounders in the team. But not on this occasion. Cecil George, bowled out by WG, for a duck! He left school in July 1915 age 18. He was not called up at once, and the Academic year 1915-16 he spent at Imperial College reading Chemistry. Then he was called up at the end of the Summer term of 1916. Cecil George was Gazetted as of the 27 Nov 1916 and recorded in the Royal Garrison Artillery. He did his basic training in the Infantry. “I do!” Says Cecil George. Off he goes and does the basic training for the Cavalry in Exeter. “I do !” says Cecil George. So off he goes and does the basic training for the gunners. He ended up a with the Royal Garrison Artillery on the Selonica Front, not far from the Greek border across into Turkey. The RGA was often supported by the Royal Flying Corps (RFC) who had devised a system where pilots could use wireless telegraphy to help the artillery hit specific targets. Years later it became clear that Cecil George was involved going up in these ‘string bag’ aeroplanes of that era, as a “spotter” for targets! This was very early in the history of flight, and must have been some adventure for the young soldier! What were these soldiers given? Their uniform, sometimes a weapon, and – a Bible. Well, that may sound a bit curious now. Cecil’s missionary parents had gone to India in the late 1800s to help try and make a difference to ordinary peoples lives through education. Like them, Cecil George was a man of faith. Like many of the sodiers who went off to war, they were men of faith. Not all children of missionaries, or vicars, come to faith. Sometimes with much time on their hands, soldiers would sit and flick through the only reading matter they had to hand – their small Army issue Bibles or New Testaments. – or any number of other unmentionable practices, when paper was in short supply. For some soldiers & sailors, though, they were lifesavers – real lifesavers. There is evidence that some of these pocket bibles, often carried in a breast pocket, literally stopped bullets and saved people from being killed, on more than one occasion. we are accounted as sheep to be slaughtered. Nothing will be able to separate us from the love of God. Cecil George didn’t like war much; he saw some terrible things, things that scarred him for life. But did his duty until the very end of the war. Many, soldiers just did the ordinary thing. During his military career, Cecil George had risen to the exalted rank of…? Recognised for local leadership; but nothing too special. You couldn’t have fought in the war and been more ordinary, really. Just doing what he had been called up to do. At the end of the war, those who fought received medals. There are famous ones for great bravery in particular campaigns. Cecil George got the two standard British campaign medals that about 6 million soldiers got. nicknamed Mutt and Jeff– or perhaps we might say the Tom & Jerry, or the Ant and Dec – of medals; the family heirlooms that many families still own. This is Cecil George’s British War Medal and his Victory Medal. Because he is my grandfather. I asked Cecil – my grandfather – about his involvement. He wrote to me about it. At the time, it was some 60 years since the conflict but it was something he’d hardly spoken of since then. And It was still a shock, so many years later. Cecil went on after the war to train as a doctor in Edinburgh University. Whilst there, he met a young Scottish lass called Eleanor, whom he married and they in their turn went as missionaries to India too – medical missionaries this time. Partly because his love of life was something he wanted to share with others in the most effective way he knew how. His passion for people; for what the bible calls: life in all its fullness. Later, their eldest son William also went to Eltham college. Once, back visiting Eltham college, Cecil & William, father & son, walked down one of the corridors that had photos of the old boys, and especially the sports teams. Cecil was in in a number of the photos. As he stopped and gazed, he pointed to his team mates and with many of them said “he’s dead, he’s dead, he’s dead”. No wonder Cecil Cutting had been so reluctant to dredge up the painful memories of his WW1 experience. It transformed his life trajectory – as a missionary doctor he was then keen to bring the healing power of a physician, to the people of rural South India. And as the medical missionary, he also introduced people to The Great Physician, to the God who can bring healing to the body, peace to the mind, and salvation to the soul. Cecil recorded some of the stories of his healing ministry in rural South India in a book – he’s a doctor, in India, so it is called Hot Surgery. One ordinary school boy from Eltham College. One ordinary soldier in the first World War. One ordinary doctor on a mission field. so much more extra than ordinary. And those who never came back. Click on the link here to listen to the sermon. * In addition to Cecil George Cutting’s two WW1 medals on the right, the medal on the left is the Kaisar-I-Hind, the medal for Public Service in India awarded by the Empress/Emperor of India, in this case the silver one, awarded to Cecil’s father The Rev’d William Cutting.